EURGBP is under the influence of Britain’s industrial production which rose less than expected rate and Euro-zone’s industrial production data for March. 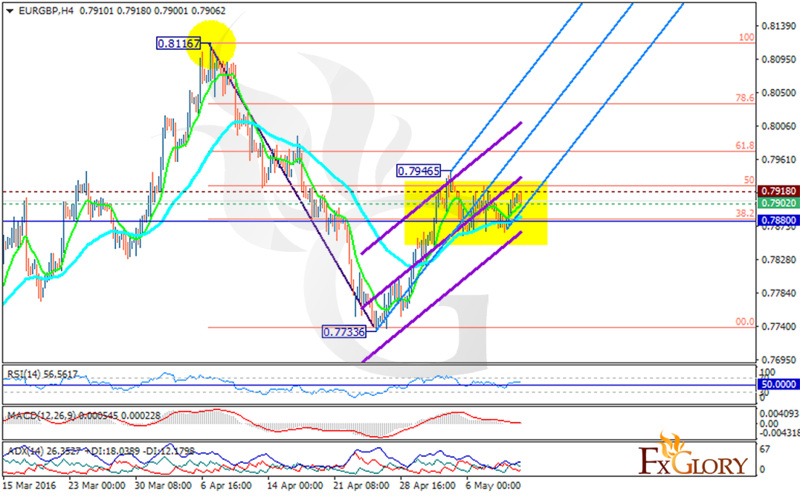 At the moment the pair is finding support at 0.79020 with resistance at 0.79180 which both lines are above the weekly pivot point at 0.78800. It seems that EURGBP is climbing up the ascendant channel within the Andrews’ pitchfork. The indicators are staying in neutral zone such as the MACD and RSI. The ADX is showing stronger buyers than sellers. The EMA of 10 is located above the EMA of 50. It is hard to decide whether the price goes up or down. Pullbacks are facing too much support and makes selling almost difficult. It might be a good idea to wait for a while.